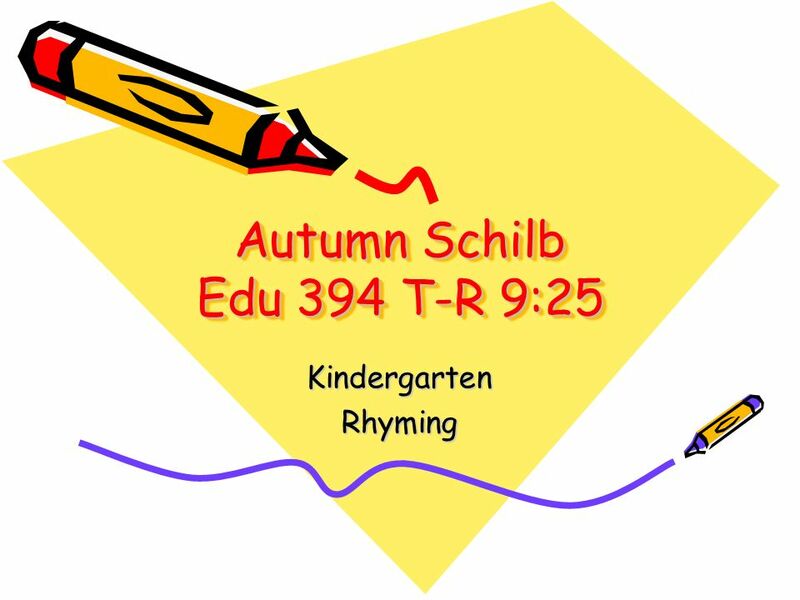 Autumn Schilb Edu 394 T-R 9:25 KindergartenRhyming. 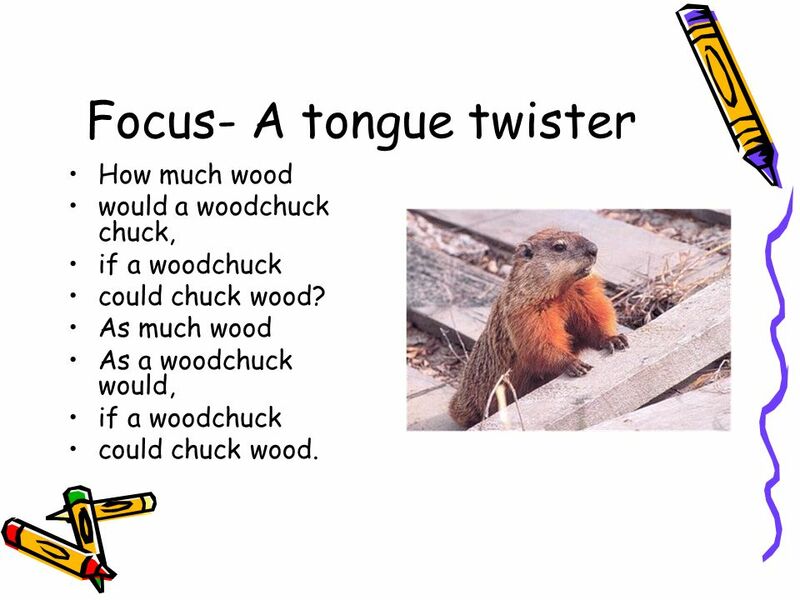 4 Focus- A tongue twister How much wood would a woodchuck chuck, if a woodchuck could chuck wood? As much wood As a woodchuck would, if a woodchuck could chuck wood. 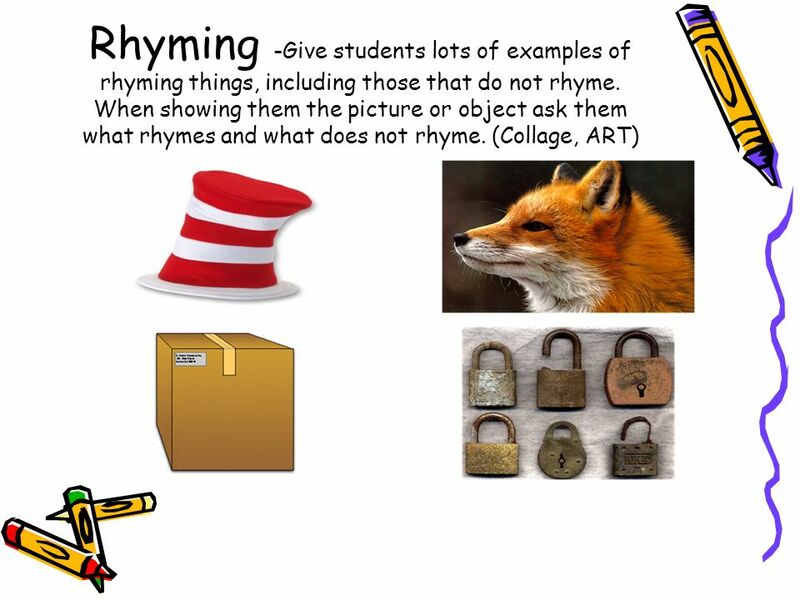 5 Rhyming words Rhyming words are words that sound alike. 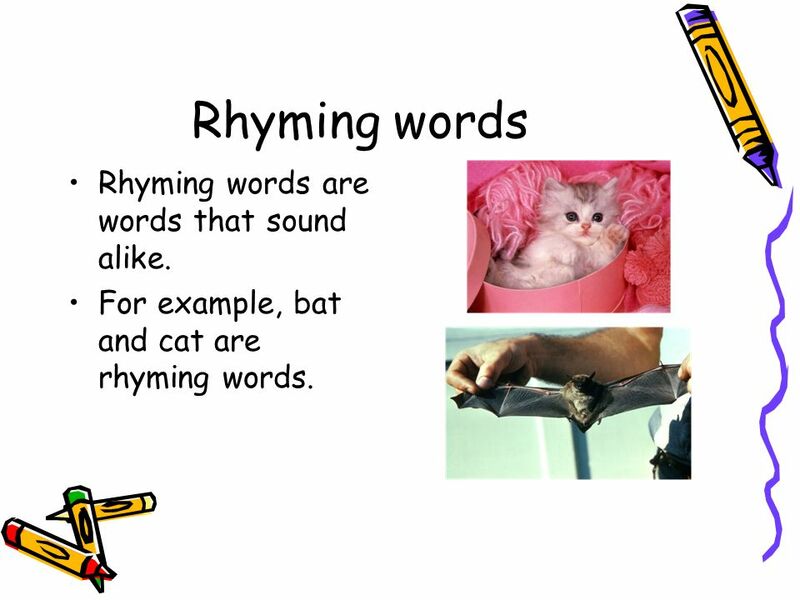 For example, bat and cat are rhyming words. 9 Speaking Willoughby, Wallaby, Woo Willoughby wallaby wee, An elephant sat on me! Willoughby wallaby woo, an elephant sat on you! 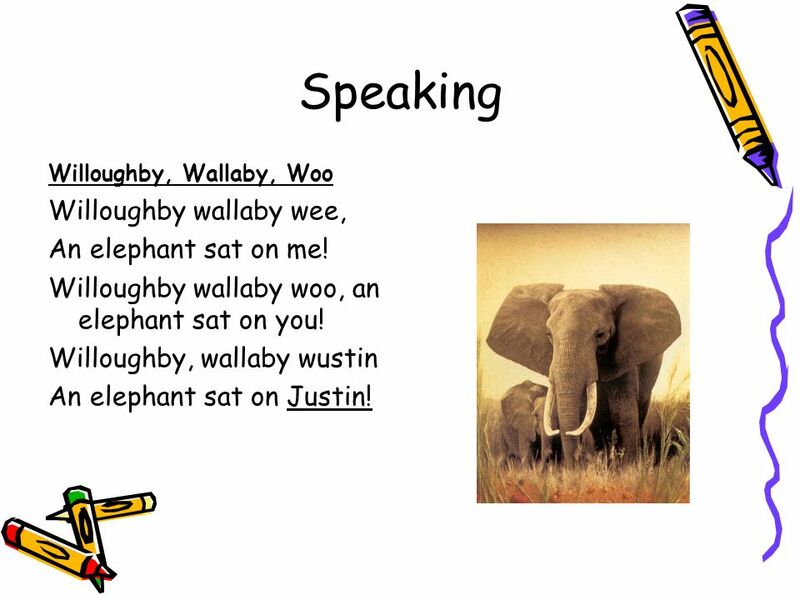 Willoughby, wallaby wustin An elephant sat on Justin! 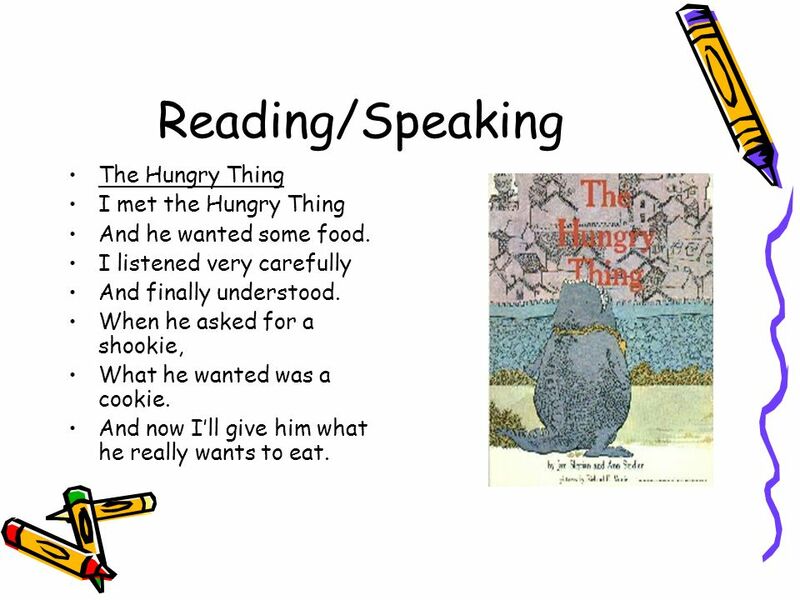 10 Reading/Speaking The Hungry Thing I met the Hungry Thing And he wanted some food. I listened very carefully And finally understood. When he asked for a shookie, What he wanted was a cookie. And now Ill give him what he really wants to eat. 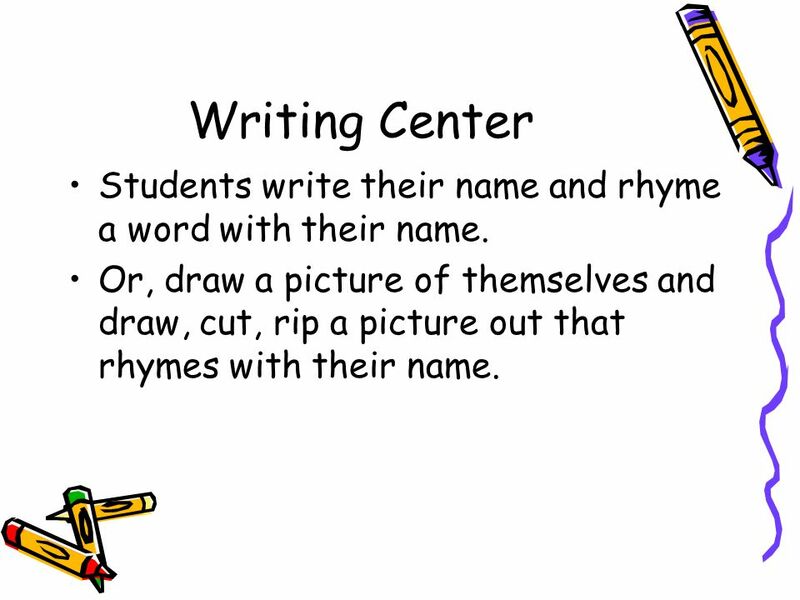 12 Writing Center Students write their name and rhyme a word with their name. Or, draw a picture of themselves and draw, cut, rip a picture out that rhymes with their name. 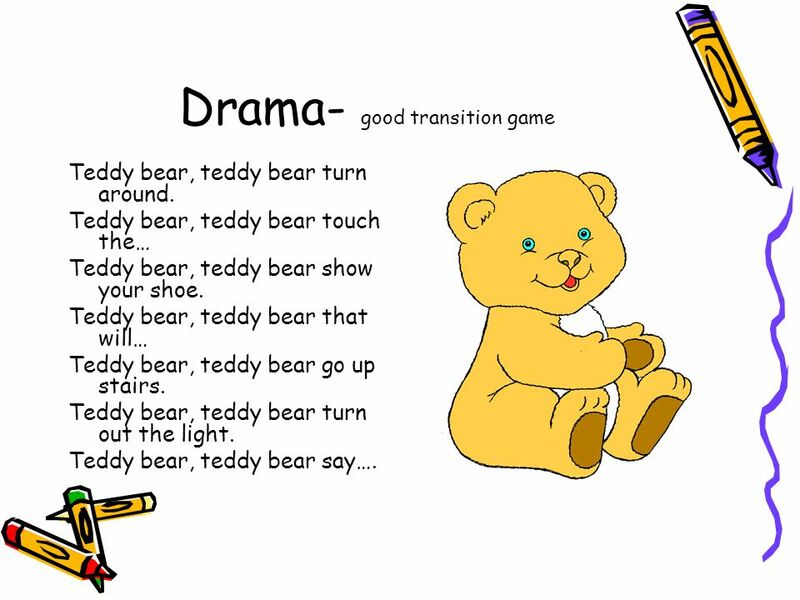 13 Drama- good transition game Teddy bear, teddy bear turn around. Teddy bear, teddy bear touch the… Teddy bear, teddy bear show your shoe. Teddy bear, teddy bear that will… Teddy bear, teddy bear go up stairs. Teddy bear, teddy bear turn out the light. Teddy bear, teddy bear say…. 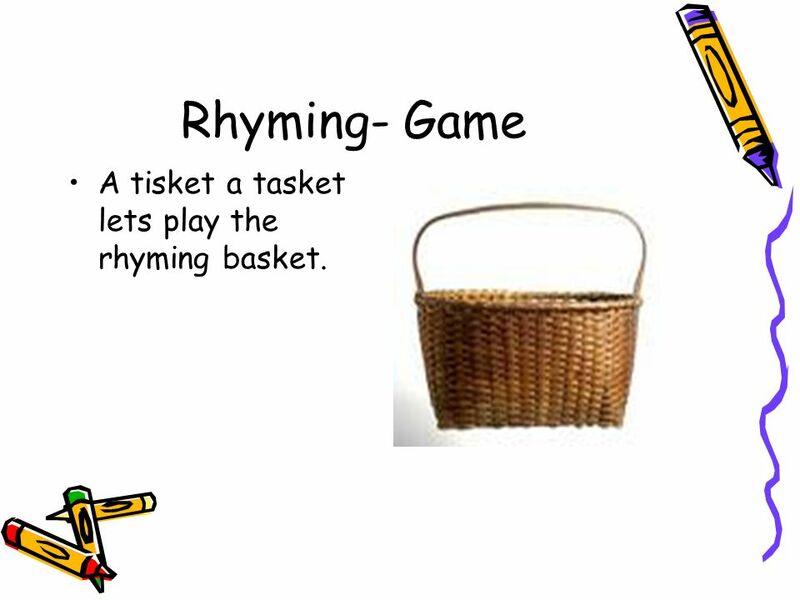 14 Rhyming- Game A tisket a tasket lets play the rhyming basket. 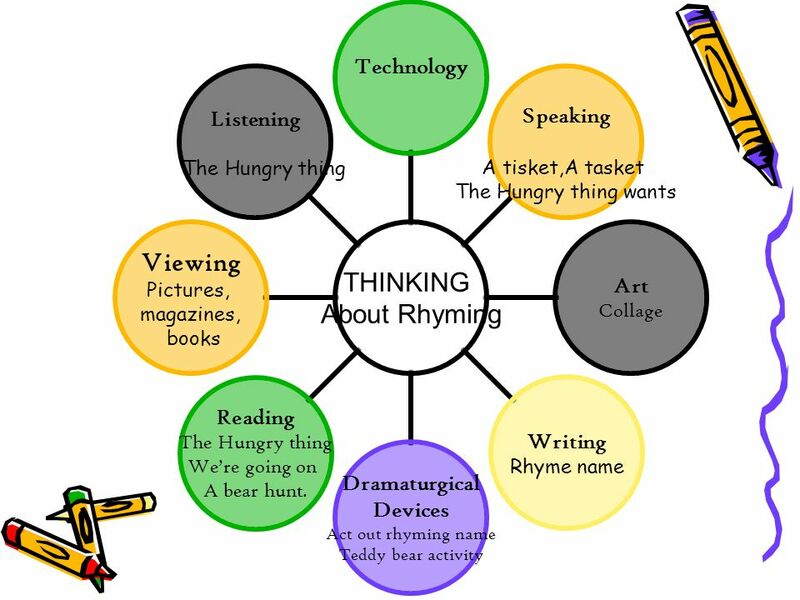 Download ppt "Autumn Schilb Edu 394 T-R 9:25 KindergartenRhyming." Welcome to Woodmancote School Reception Curriculum Evening. Jobs in our Community By Kelsey Capps 1 st Grade Level. KINDERGARTEN NEWSLETTER 2011 July- December Animals Phonemic Awareness Means of Transportation Community Helpers Spring Games. 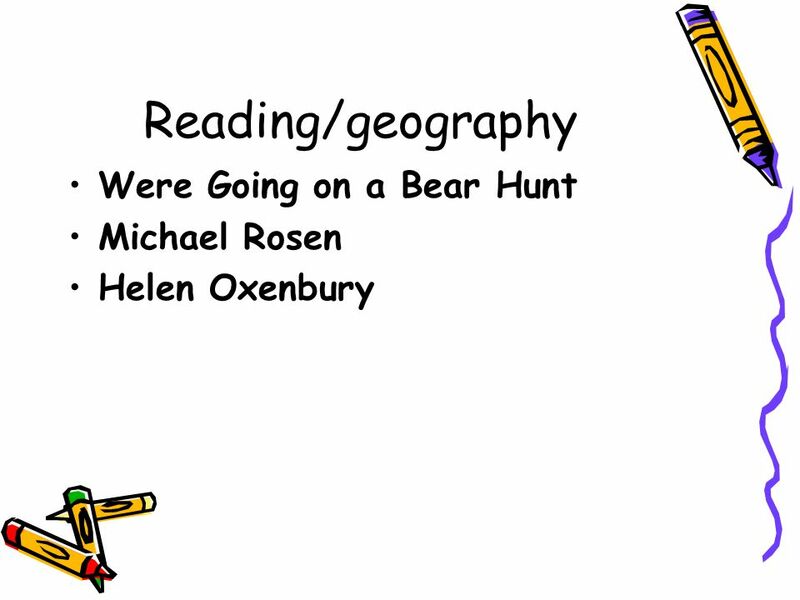 Dialogic Reading & CLASS How are these related? Suzanne Parrott Barbara Dowling SDAEYC 2014. 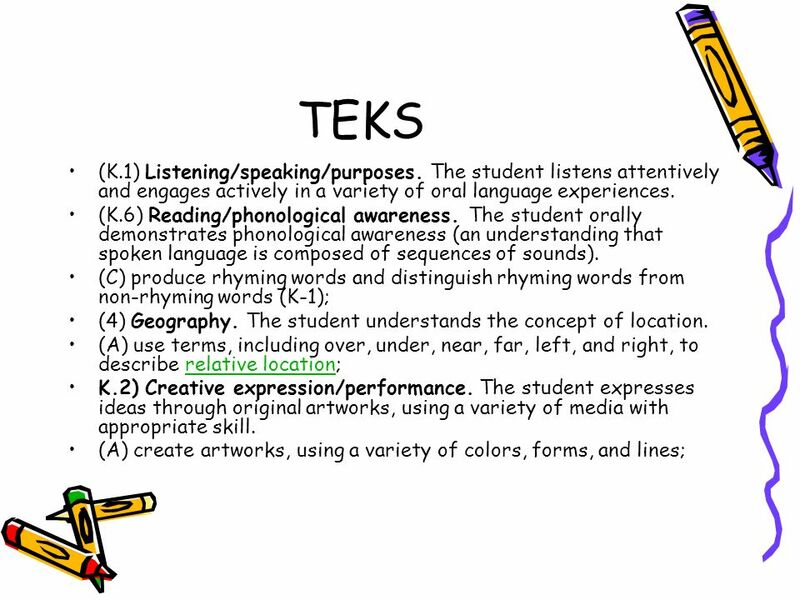 What is Figurative Language? 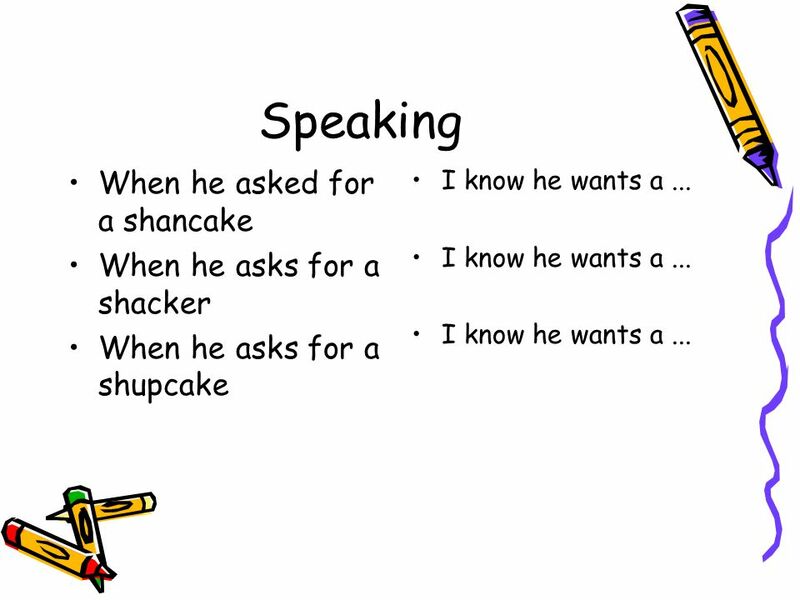 Whenever you describe something by comparing it with something else, you are using figurative language. What is Figurative. Early Literacy Domains Distance Learning Events brought to you by the Center for Early Literacy Learning 1. Design Document What makes some animals to be Unique? “Phon” Book. LISTENING FOR BEGINNING SOUNDS: Willaby Wallaby Woo Willaby Wallaby Woo. An elephant sat on you. Willaby Wallaby we. An elephant sat on me. 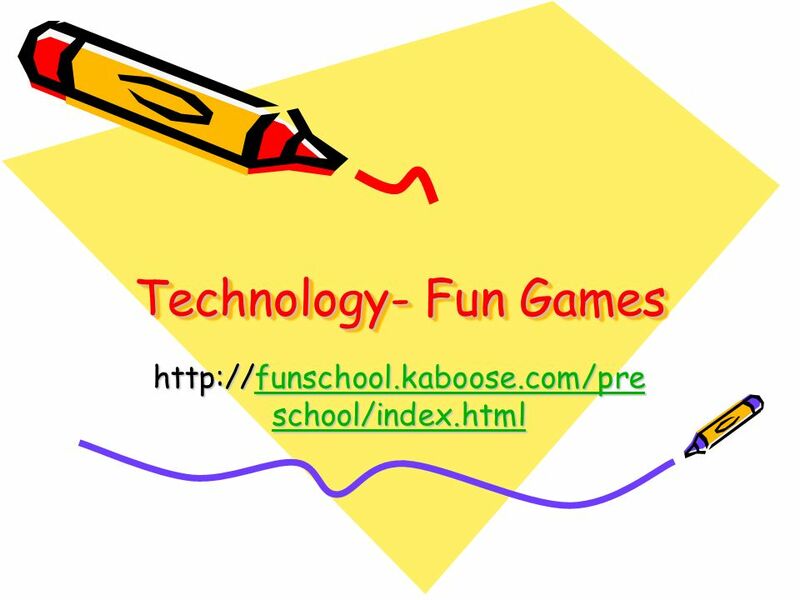 Fun With Fluency What is Fluency and why is it important for my Pre-K Child? Why are ‘Speaking and Listening’ skills so important? Talk, Talk, Talk. How Important is Language? It allows us to… Express feelings and needs Interact in social settings Use language to make friends Discuss. CI 350 Unit Plan COLORS. Analyze Learners This unit plan will focus on children who are three and four years old. The children will be in a normal classroom. Language Arts Summit October 13, 2012 Literacy Across The Curriculum Presented by TLI Teacher Specialists TLI Teacher Specialists Leonila Garcia Margaret. Year R Stay and Play Talk. Why?  Communication is the number one skill. Without it, children will struggle to make friends, learn and enjoy life.